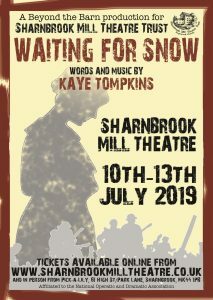 The workshop and auditions for Waiting for Snow are slightly unusual. 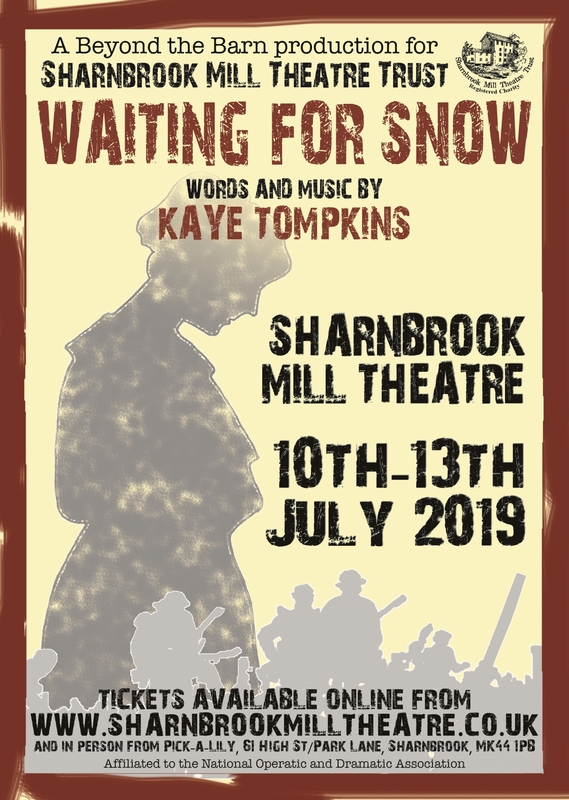 Because we are a visiting theatre company, we shall be bringing most of our original cast with us – a lot of them familiar faces and members of the Mill. However, we do have some main parts to fill as the original members have moved on to other work or having babies! We would love to recast them from the membership if possible. ARTHUR/VOCALIST – strong singing part. Becomes the voice of Billy in song. Several important solo musical numbers. Acting age mid 20s/30s.Could go up to 40s. EDWARD/VOCALIST – acting and singing requirements. Good cameo role as he gets very drunk on the local beer at the village dance. Part of the the singing ensemble. Acting age late teens/early 20s. ANNIE/DANCER/VOCALIST – betrothed to Edward, Annie is the youngest of 3 sisters. Strong ballet requirements and small scene at the village dance. Part of the singing ensemble. Acting age late teens/early 20s.